I scattered dill seed from last years crop all over the back of the garden area. We had a very mild winter and the dill came up every where. I had hoped for a good crop to attract butterflies. One insect I had not considered I might attract were ladybugs. 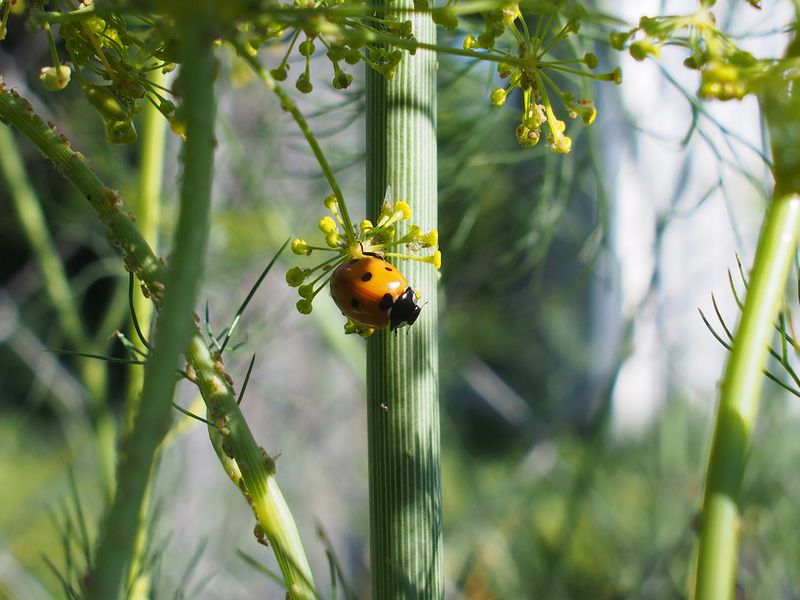 I went to check the garden and noticed several lady bugs on my dill. Then I noticed a large number of aphids. 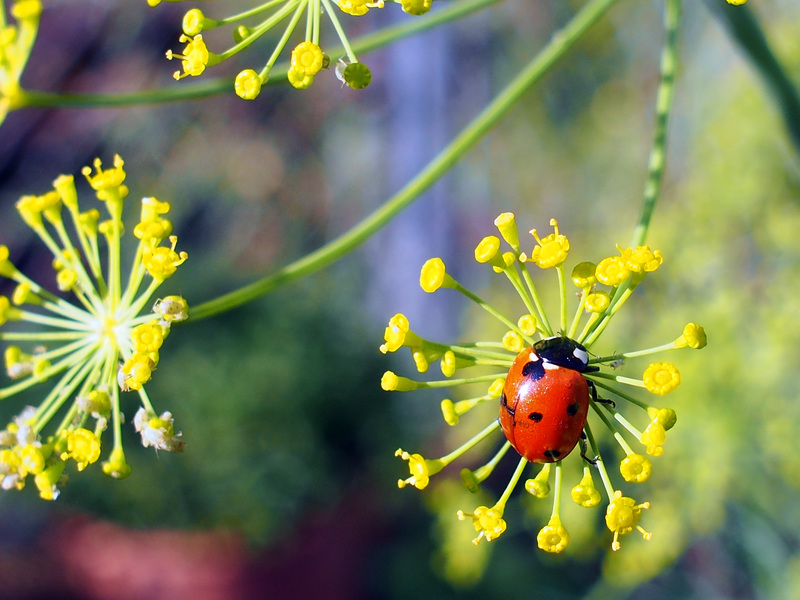 I was thrilled to see the ladybugs happily working their way trough the pests. ← Butterflies and passion vines.